During the second live stream for the April Update, Bungie took us through a whole host of new features including Sterling Treasure, Chroma, returning Legendary weapons and much more. What they didn't show was a list of new or returning Exotics so here is a list of all of the Exotic weapons and armour items that will be either BRAND NEW or brought up to Light 335 within the April Update. Originally after the livestream we all thought that Bungie were only going to bring old exotics forward and there weren't any new ones to reveal... we were wrong! So as an added extra I have included the BRAND NEW exotics which are coming in the April Update below as well. "Complete awareness, complete focus. A mind sharpened by diligence to a single deadly point"
Dynamite: Grants explosive rounds. Rapid kills with every round in the clip load an extra, higher-damage round for 5 seconds. With a Laser Beam: The extra round from Dynamite causes a massive explosion. The House of Wolves exotic Side Arm known as Dreg's Promise has been buffed considerably - almost turning it into a new weapon for most of us. Starting in the April update this exotic weapon will become exactly like a smart gun, tracking it's targets after ADS. Projectiles will now track based on Aim Down Sights target lock. This behaves in a similar way to the "Tracking" Rocket Launcher perk but with a faster lock time and no audio "beeps"
Players should note some caution below, this a list of old (Y1) exotics which have finally been brought up to the level of the April Update, which equates to Light 335. This is now the maximum Light level until the DLC which arrives in the fall of 2016. Bungie have been keeping some of the older Exotics locked out of the newer content (for some time now) so it's good to see that certain long time favourites are being unlocked in April. 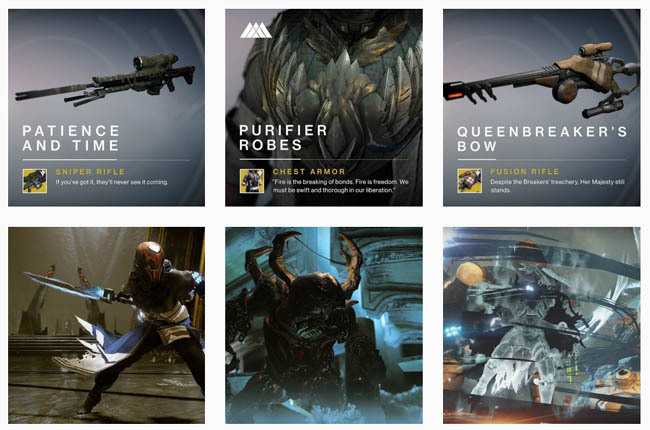 A good proportion of the exotics come from the Prison of Elders content i.e. House of Wolves. 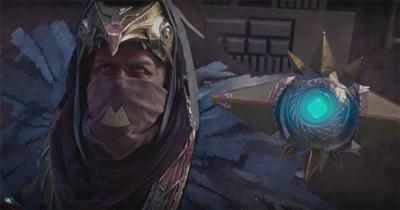 Just take a look at Queenbreakers Bow, Lord of Wolves and Dreg's Promise as examples. However, some of the game's original exotics such as Patience and Time and Universal Remote have been given the jump to 335 as well. Sterling Treasure - a reward box which offers a guaranteed item and up to three possible items. 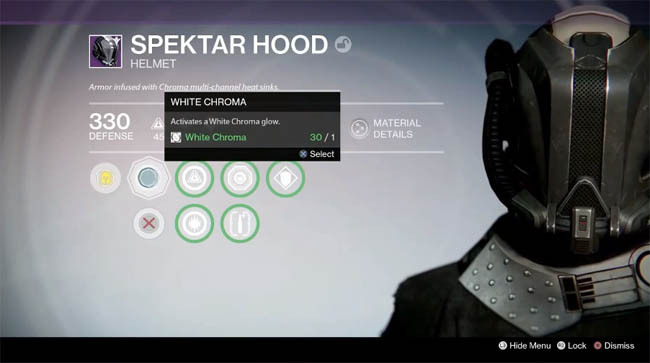 Chroma - Used to change look of weapon and armor. Select from a list of predefined colours/glows. New armor sets: Spektar Armor, Desolute Armor - also collect all armour sets to look like Taken.